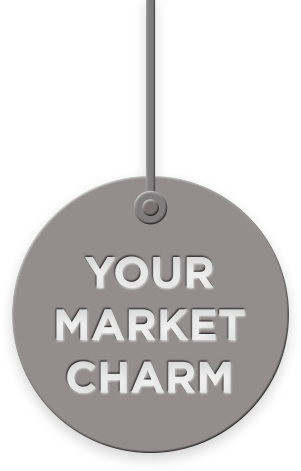 Rachel’s Reserve helps special projects that make a positive impact on the neighborhood or built environment of the Market. 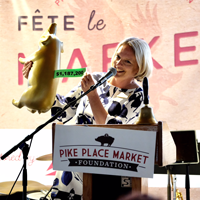 On June 29th, 2017 Pike Place Market celebrated the much anticipated opening of the new MarketFront! 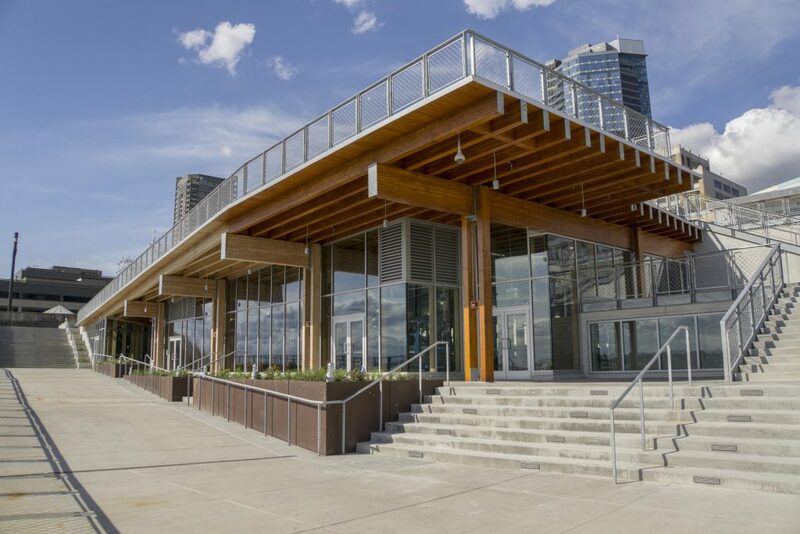 A site originally built for Market producers in the early 20th century, the expansion reclaimed the site to serve the Market and created a dynamic public plaza with views of Puget Sound and Olympic Mountains. True to the Market’s charter, the expansion includes low-income housing and a social services hub to support the Market community. 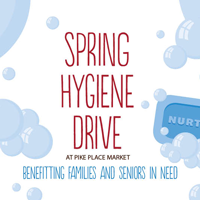 In partnership with the Pike Place Market PDA, the Pike Place Market Foundation successfully concluded the Pike Up! 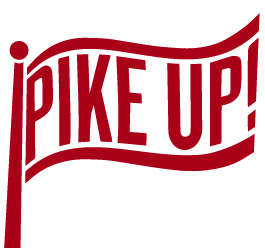 campaign in December 2017 to complete funding for the MarketFront expansion. Through a four-year community-activated fundraising strategy the Market Foundation raised $9.3 million from more than 6,204 donors who were recognized at a variety of levels including 99 Mosaic Fish representing donations of $10,000 and up; 443 Bronze Hoofprints recognizing donations of $5,000 and 8,089 Market Charms recognizing donations of $180. 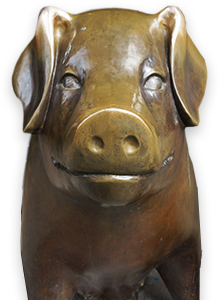 The Foundation also led the selection, management and funding of the public art on the site created by Clare Dohna and John Fleming. In September 2017, the Foundation celebrated the opening of the new community services hub at the MarketFront with The Market Commons. The Foundation continues to operate and serve the community with a resource desk, community activities and partner programs at this location.